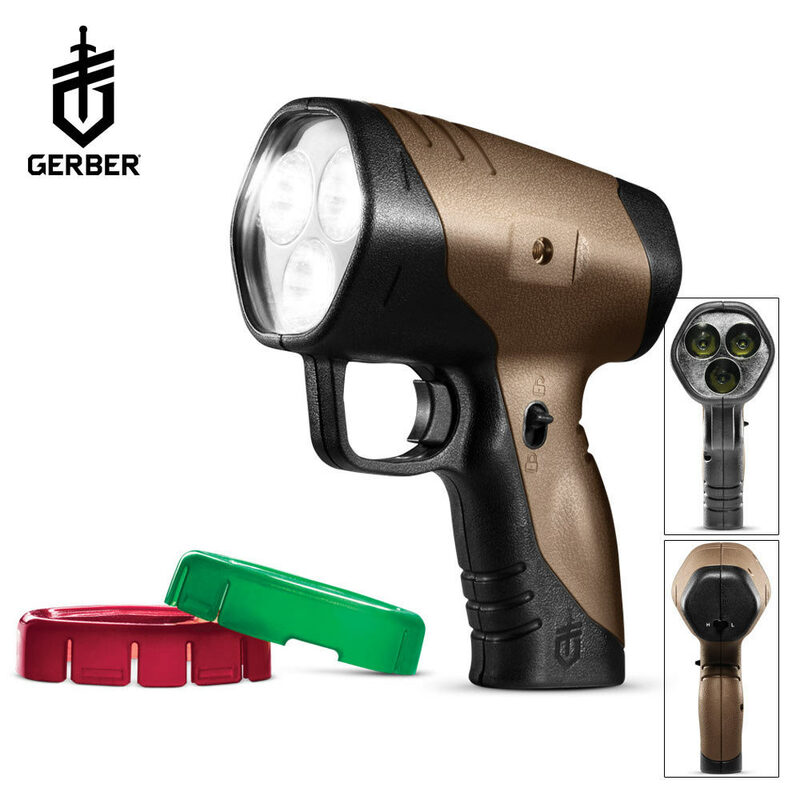 Gerber Myth 600-Lumen Flashlight | BUDK.com - Knives & Swords At The Lowest Prices! This Gerber Myth Spotlight is a great addition to any hunter's pack. The lifetime-lasting LED bulbs produce a powerful 600 lumens of bright white light that make following a blood trail a simple task. Rechargeable lithium-ion batteries will save you hundreds of dollars on batteries and both AC and DC chargers are included for charging at home or on the go. This energy efficient flashlight will lasts 2 hours on high and an astonishing 10 hours on the 100-lumen low setting.